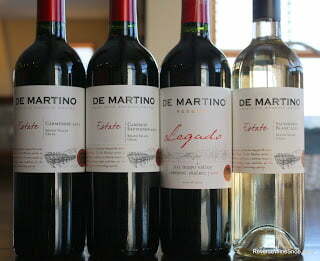 The three De Martino Estate wines, plus the Legado. All made from organic grapes. Today we are reviewing a new line of wines from the second largest producer of organic wine in Chile — De Martino. De Martino began the process to convert to organic farming of their grapes in 1998 and three years later had their first harvest. Helped by the unique climate and terroir of the Maipo Valley, which keeps their vines healthy and disease free, converting to organic farming was an easy choice. The new Estate Organic Collection is intended to showcase the best of these wines, and at an SRP of $14, this is something we can wholeheartedly support. The collection includes Sauvignon Blanc, Carmenere and Cabernet Sauvignon single varietals from Maipo Valley, Chile. All are produced using organic grapes. 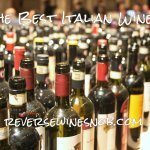 Each wine has an SRP of $14 and should be available for around $10-$12. Samples submitted for review. “This Sauvignon Blanc has a fresh, intense nose bursting with citrus aromas and a light herbaceous touch. The acidity is well balanced, making this an easy-to-drink and friendly wine. The Sauvignon Blanc begins with pleasant aromas of grapefruit and melon. The grapefruit continues when tasting this nicely textured wine and lasts all the way into finish. The wine is definitely a bit grassy but that’s held in check by lots of citrus zest and some nice minerality that comes out near the finish, plus good acidity. A grapefruit lover’s delight! “This Carmenere presents aromas of spices which combine perfectly with notes of red fruit. It is very friendly on the palate and well balanced on the finish. A wonderful example of how Chilean Carmenere expresses itself. The Carmenere begins with aromas of dark fruit, tobacco, a little spice and some green vegetal notes. This medium-bodied wine tastes of dark fruit and spice, just like the nose, along with a bit of black pepper. The green notes also continue and are even more pronounced in the mouth. It ends with tobacco and coffee notes on the long finish. I would have guessed this wine was aged in oak, but to my surprise it only saw stainless steel. 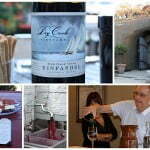 “Intense ruby red in color, this wine is elegant and fruity — an excellent exponent of Maipo Valley Cabernet Sauvignon. The nose is bursting with red and black fruit aromas, and the palate is balanced and smooth, and full of character. 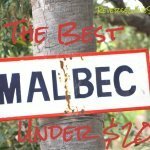 The Cabernet Sauvignon is even greener on the nose than the Carmenere and even a bit medicinal but give this wine plenty of time to open up and it improves immensely. Tasting the wine reveals a smooth, soft texture just like the others. 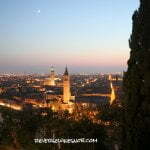 (Perhaps this is a signature of De Martino wines?) There’s also plenty of savory dark fruit flavors on this medium-bodied wine. It ends with nice juicy fruit that lasts a good while, with some tobacco notes underneath. Quite nice! Also check out the review of the De Martino Legado Reserva Cabernet Sauvignon Malbec!